As the name suggests, woods play an important part in the topography of Studley Wood Golf Club. Designed by Simon Gidman, the par 73 course is set in 170 undulating acres of what was once an extensive woodland. History tells us that some 480 years ago, no less a person than Henry VIII used to enjoy his sporting afternoons here, hunting deer and wild boar. Two loops of nine holes play in opposite directions around a 30 acre wood, which lies at the centre of the course. Testing natural hazards come courtesy of 13 lakes, some impressive ground vegetation and a richness of fine, mature trees, most of which are specimen oaks. Great care has been taken to set out the 18 holes in such a way that each fairway and green has its own distinctive character and offers its own particular challenge. All the tees and greens meet USGA specifications and the irrigation system is fully computerised. The result is a course which, framed by an ancient and beautiful landscape, combines a feeling of maturity with the prospect of a rewarding round of golf. 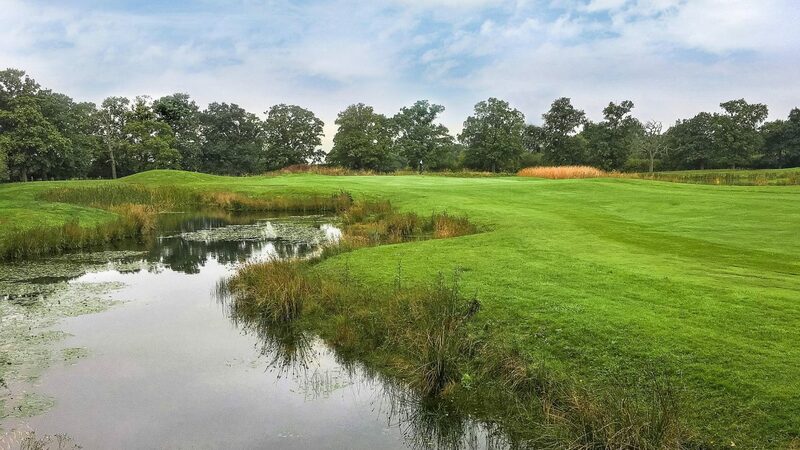 Studley Wood is a friendly family golf club with a superb modern clubhouse offering extensive food and beverage. We look forward to welcoming you at the golf club soon. We can cater for small groups or full corporate golf days of up to 120 people. Please call and speak to our staff on 01865 351144 for our latest offers and bookings. From M40 (Northbound): At junction 8, exit onto A40 toward Oxford/Cheltenham. Turn right onto Headington Roundabout. Take the 1st left onto Bayswater Rd. Go through 1 roundabout. Turn right onto B4027. Take the 1st left onto Horton Rd. Continue onto Woodpery Hill. Continue onto Straight Mile Rd. Turn right, arrive at golf club. Driving Range. Cleveland and Srixon Centre of Excellence. Restaurant. Conference and Meeting facilities.